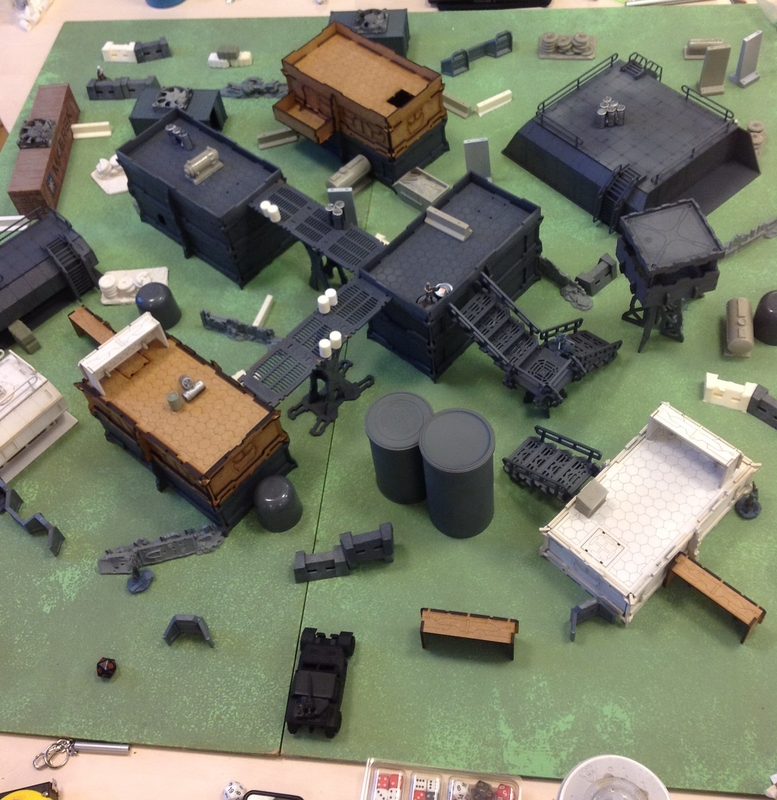 Some new terrain being used last Thursday as the interest in this games system continues to grow at the Headingley Games Club. 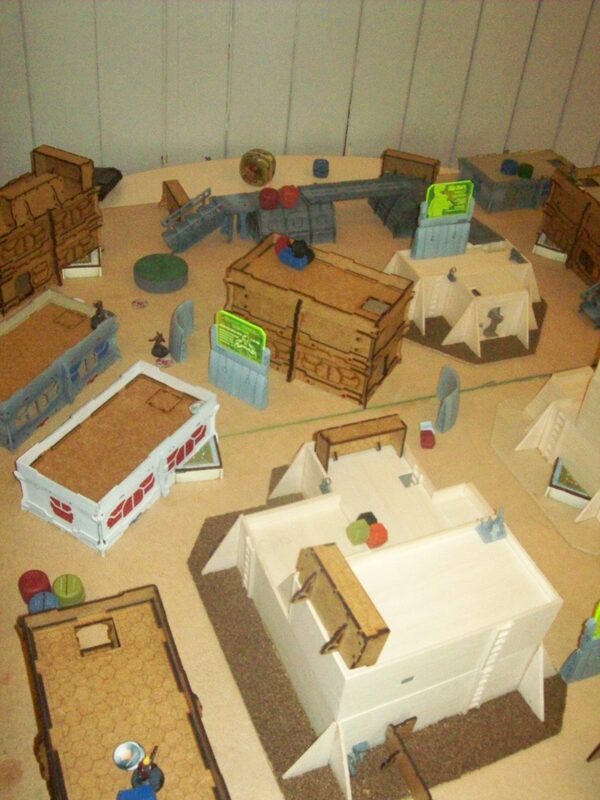 http://www.infinitythegame.com/infinity/en/. Our new game boards come out for use tonight. Last Thursday saw the end of Round 1 of the Headingley Games Club’s Infinity Slow Grow League. There are currently 8 players from the club in the league which will be played over a number of rounds until all the teams in the league have played against each other. The army lists for Round 1 were 100 points with an extra 50 points added per round up, to 300 points. Victory points are earned in each game based on randomly selected missions with the winner determined by the most victory points at the end of the game. Victory points are also used to provide a ‘goal difference’ to separate teams in the event of a tie on the league table. There were some closely fought games (and some not so close) on Thursday with players representing most of the factions including Pan Oceania, Nomads, Ariadna, Yu Jing and Haqqislam.